The Kanas Lake is located in the northern Bu'erjin County of Northwest China's Xinjiang Uygur Autonomous Region and 150 kilometers to the county town. Kanas in Mongolian means lake in canyon. 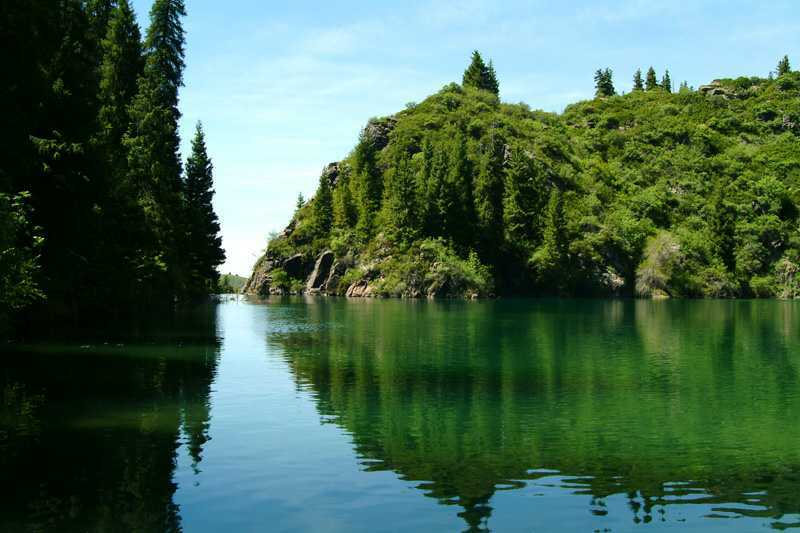 Nestled in the deep forests and mountains of Altay, the lake is 1,374 meters above sea level and covers an area of 45.73 square kilometers with the deepest point of 188.5 meters. Embraced by snow-capped mountains, the Kanas Lake is covered with dense forests and is the only area where animals and plants of South Siberia species can be found in China. A total number of 798 kinds of trees have been found in the area, including some rare species such as larch, red pine, spruce, fir, and birch. The lake also has 39 species of animals, 117 species of birds, 4 species of amphibious animals, 7 species of fish, and more than 300 species of insects. Kanas Lake is the core of the national natural reserve there. Around the lake are thick and green theropencedrymion that integrates with grasslands in mountains. In spring, various flowers are in blossom in the grassland, and grass is thick and green. Standing in the grass, you can see that cloud and mist near look like white ribbons round mountains. In the distance are snow-capped mountains on which thick forests grow. In July or August, standing Fish Viewing Pavilion that is 2030 m above sea level, and looking down at the view below you, you will be attracted by the beautiful lake and mountains. You can find that under the blue sky and white cloud the lake surface is just like a beautiful large color palette, whose color varies: some part is heavy in color, some is light, some is blue and some green. In Kanas Lake, tourists can view ? ?Treasure Light? ?, which is called by local people ? ?Buddha Light??. It, integrating with the beautiful Kanas Lake view, the white glaciers, the green grassland, the boundless forest, and the mist in mountains, will make you feel as if you were in a fairyland. When the sun rises in the morning or at the time it is getting dark after sunset, on a boat on the lake or standing on the platform at the lake center, if you are luck, you can see the mysterious ? ?lake monster?? like a small boat, appearing or disappearing. 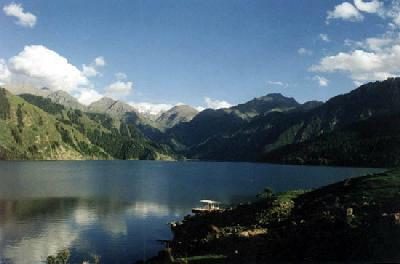 Kanas Lake is a part of European eco-system, which is very rare in our country. In this natural reserve, there are 798 kinds of plants, of which 30 kinds are rare plants, 39 kinds of animals, 117 kinds of birds and 7 kinds of fishes. Of these animals, 5 kinds are under Grade I protection of the State, 13 kinds are under Grade II protection of the State, 9 kinds are other rare animals, and the number of record for new species of insect and eubacteria is not less than 60. The beautiful and unique natural view of Kanas Lake won the praise of national leaders, experts, scholars and tourists, who are all of the opinion that it is the most beautiful place in China. Kanas is the only outstretched belt of Siberian tayga forest in China, the only distribution area of Siberian plants in China, the largest branch river head of Etix River? ?the only water system to the Arctic Ocean in China. It is also the only place in China inhabited by Chinese Mongolian? ?Tuwa people, and the place of the alpine glacier with the smallest altitude in China. Tuwa people, also called ??Tuwa? ?, ??Dewa?? or ??Kukumenqiak? ?, have a long history and were recorded in ancient literature. 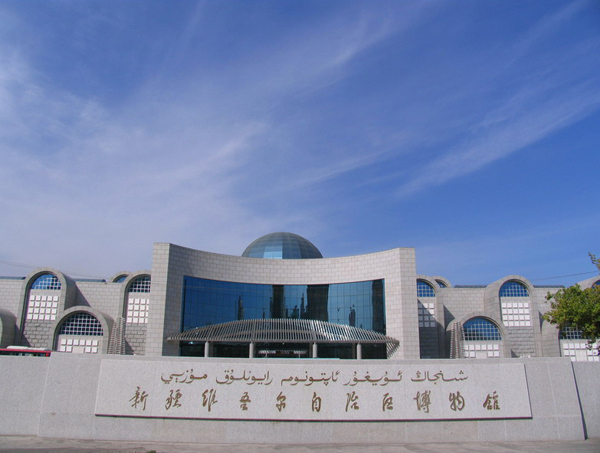 Some scholars hold the view that Tuwa people are offspring of the old, weak, sick and disabled soldiers left by Genghis khan when he led his troops to attack the West. But Tuwa elders said that their ancestors migrated from Siberia 500 years ago, and that they are the same ethnic group as the Tuwa people of the Tuwa Republic of Russia. Tuwa people keep their unique custom and language. 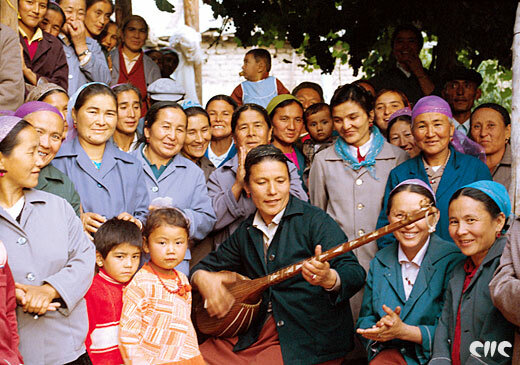 Tuwa language falls into the Turkic language group, Altaic language family and is in close relation to Kazakh language. Tuwa people celebrate traditional Mongolian Aobao Festival, Zoulu Festival (Winter Festival), Spring Festival and Lantern Festival. Tuwa people believe in Buddhism. Tuwa people live in Tuwa village and Biahaba Tuwa village, Kanas, Altai. Kanas Lake and Tuwa people, integrating with each other, constitute the unique view and folk at Kanas.